A suite of tools for increasing MS Windows operating system performance. WinTools.net cleanly removes unwanted software from disk drives and dead references from the Windows registry. WinTools.net puts you in control of the Windows start up process, memory monitoring and gives you the power to customize desktop and system settings to fit your needs. Adds more speed and stability for your connection. Ensures your privacy and keep sensitive information secure. 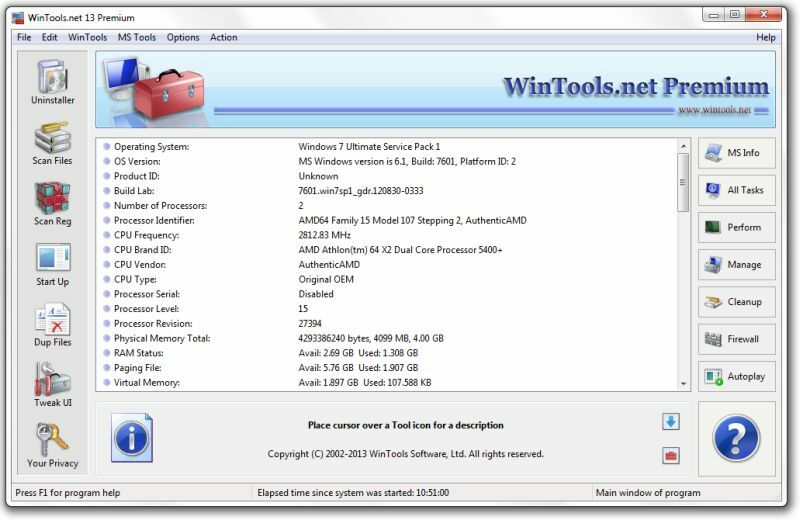 WinTools.net Premium contains tools: Clean Uninstaller, Scan Files, Scan Registry, Scan Shortcuts, Startup Manager, Tweak UI, Duplicate Files, Net Tweaker, The Privacy.